The lives of two people from different backgrounds intersect with an accident. Gulseren (Nurgul Yesilcay) who is a young and beautiful girl living in poor neighborhood of Istanbul is hit by a car and brought to a hospital to give a birth. Meanwhile, Dilara (Ebru Ozkan) who belong to a rich family gives a birth to her own baby at the same hospital. The babies are given to wrong parents: the baby girl of Gulseren is given to Dilara and the baby girl of Dilara is given to Gulseren. 15 years later, we see that Gulseren lives with her daughter Hazal (Alina Boz). She has been trying to do her best to look for her daughter after her husband has left her. She works at a small store as a saleswoman. Meanwhile, we see that Dilara lives with her daughter Cansu (Leyla Tanlar). 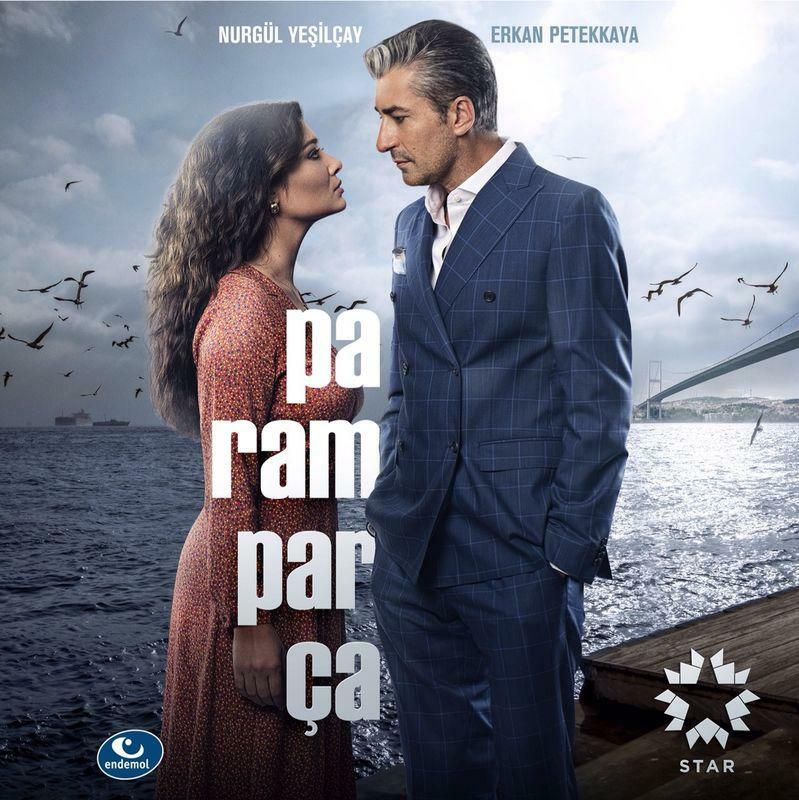 She has a rich life but has some problems with her husband Cihan (Erkan Petekkaya). The story takes places in 13th century and tells a story of Ertugrul who is the father of the Osman I, the founder of the Ottoman Empire. 400 large nomad tents are settled in Anatolia but get through a difficult time due to famine. All these nomads want to migrate to another place where they can have a better life. Suleyman Shah who is the leader of this group (Kayi clan) wants to give a better life for his people but he does not want to make a quick decision without considering all side effects. Because of this reason, some nomads start to blame him for not being able to be a good leader. Even his elder ambitious son Gundogdu (Kaan Tasaner) starts to question his decisions. However, his younger son Ertugrul trusts his father decisions all the time and does not want to be involved in clan issues. Oyku (Ozge Gurel) is a young girl who has a modest life with her mother and little brother. She is a promising fashion designer who goes to university. She has been in love with Mete (Daghan Gulegec) from her childhood. Oyku never finds courage to disclose her feelings and keeps her love secret from Mete who is not aware of her existence. Ayaz (Serkan Cayoglu), on the other hand, is a successful architect who works together with Mete. He is young, rich, handsome, arrogant, and womanizer. He never goes out with the same woman twice. Ayaz is also the son of the very famous fashion designer whom Oyku dreams to work for. Yonca (Selen Seyven) is a young and beautiful woman who is married to her perfect man, Tarik (Gokhan Alkan). Yonca has been affraid of having in-laws and because of this reason, she has always wanted to get marry with a guy who is not closely connected to his family. Tarik is a perfect guy for her, because he is a doctor with sensitive personality and most importantly, he does not have a family. Tarik was adopted by a couple living in Germany when he was a little child and he does not know anything about his real family. Meanwhile, Mukadder (Aysenil Samlioglu) is the mother of a classic turkish family who lost her son at a traditional market 25 years ago. Because of that traumatic incident, both Mukadder and her family have suffered from a pain but never given up hope on finding their lost family member one day. They live happily in a big family apartment alltogether consisting of mother, father, grandmother, 3 girls, one granddaughter, and uncle. Their family becomes bigger when Tarik and Yonca moves in their apartment as a neighbor. They behave Tarik as if he is their lost son but somehow, they fight a daily basis with Yonca. The story becomes more complicated when it is understood that Tarik is the lost son of this big family and Mukadder is his real birth parent. Now, Yonca finds out that she has mother-in-law, father-in-law, grandmother-in-law, three sisters-in-law, uncle, and aunt. Gul (Gizem Karaca) is a young and beautiful girl who lives in Istanbul and works at the cosmetics company. One day, she suffers from a string of a bad luck: she learns that an important cargo has been delivered to a wrong address, she is stuck with the traffic and gets delayed, she says that she is in the company but ends up crashing the car where her boss is staying. The next day, she again suffers from a string of bad luck: she drops milk to her blouse, she drops her ipad to the floor, she makes her boyfriend’s car tow away, she gets delayed and misses an important meeting at the company, she is fired by her boss and moreover, she breaks up with her boyfriend Kaan (Mehmet Ali Nuroglu). Meanwhile, in the Guzelkoy (Beautiful Village), a cargo which is full of cosmetics is delivered to an old lady named as Sultan Ana. When cargo is delivered, Sultan Ana thinks that these cosmetics products are delivered by her grand daughter as a gift. Villagers do not believe that Sultan Ana has a grand daughter because she was not married and nobody knows whether in the past she gave a birth or not. But still, they could not be sure about that. At that time, Gul calls them and informs that the cargo has been delivered by mistake. She gives her address to take back her cargo. Gulru (Damla Sonmez) is a young and beautiful girl who belongs to a poor family. Her father works as a gardener at a rich mansion where the owners give them a small living place at the garden. Her older sister also works as a cook at the same rich mansion. Gulru lives with her father and two sisters at that small house built for the staff and sometimes she helps her sister to do house chores. She cleans the house and carries out the orders of the residents. Gulru has been dreaming of becoming just like the daughter of the rich mansion: Gulfem (Canan Erguder) who has been living abroad for a long time. Gulru admires Gulfem so much that she wants to become a successful designer just like her. For this reason, she goes to university with a scholarship and she plans to work with Gulfem after she graduates. When Gulfem’s father dies, Gulfem comes to Istanbul to attend her father’s funeral. Soon after, she discovers that her father’s last wish is keeping his children together in Istanbul. That’s why; Gulfem starts to live with her little brother Cihan (Sercan Badur) although she does not want to stay by his side. Gulru becomes so happy because she thinks that she would have a chance to see her role model everyday. However, nothing happens as expected. Erdem (Uraz Kaygilaroglu) is a young guy who comes to his hometown after his undergraduate study and starts to work as a Turkish teacher at a high school where he was a former student. Erdem is an idealist teacher who inspires his students through his teaching poetry. He reunites with his high school friends years after and they decide to found a poetry journal. In this story, you will explore the lives of seven men who start writing poetry during their highschool years and after then reunite again to found Mavera Journal. The story takes place in 1970s and is full of flashbacks to the time when main characters are high school students. The tv series tells a true life stories and can be considered as a documentary for Turkish literature. Kurt Seyit (Kivanc Tatlitug) is a womanizing lieutenant who is the first son of a rich Crimean landowner of Turkish origin. He is so handsome and successful. Shura (Farah Zeynep Abdullah), on the other hand, is the beautiful daughter of a noble Russian family. She is so naïve and beautiful. These two young persons meet at a ball in St. Petersburg. Before Shura comes to the ball, Kurt Seyit makes a bet with his friends and tells them he will manage to kiss the first girl who enters the room. And then Shura joins the ball. When Kurt Seyit sees Shura, he develops a crush on her. At the same time, Shura falls in love with him at first sight and can’t get him out of her mind. Calibe (Deniz Cakir) is a young and beautiful girl who has a modest life in Istanbul. She has been in love with her aunt’s son, Nejat (Burak Yamanturk). Nejat has been raised together with Calibe after his parents passed away due to typhoid fever. For this reason, Nejat wants to become a successful doctor and save people’s lives. Calibe and Nejat love each other to death and plan to get married after Nejat’s graduation. In order to disclose their love and get their parents approval, they just need to wait one more year. When Nejat goes to France in order to finalize his studies, Calibe feels that nothing would be the same as before. Bahar (Ezgi Asaroglu) is a young and naive girl who has a modest life in Istanbul. Because of financial difficulties, she quits her school and starts to work in a cake shop in order to help her family. Bahar is a thoughtful, optimist, and hardworking girl whereas her sister Efsun (Ceren Moray) is quite the opposite. Although Bahar does her best to make her sister happy, Efsun purposely hurts Bahar due to her jealousy. Even though Bahar has been raised in this family, she is not the real daughter of that house. Her supposed mother Nuran (Yesim Ceren Bozoglu), father Ilyas (Suleyman Atanisev ) and sister Efsun are all strangers for her. In reality, Bahar is the daughter of Mehmet Emir (Sinan Albayrak) who is a rich businessman. However, that fact has been concealed by everybody.